2. Select List > Subscribers Filters. 3. Choose “Filter” tab from right corner of the screen. 4. 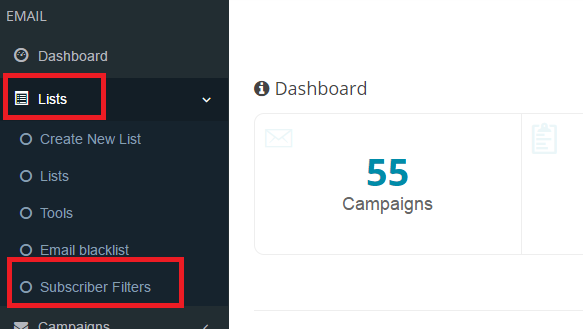 Now, Filter all your subscriber as per list or campaign wise to the date they are added by choosing “Date Added Start” and “Date Added End”. 5. Click on “Submit” tab, after this you will get all the filtered data according to the date added.